Today we are learning all about Intention/Sankalpa. This 71 minute yoga for beginners class will teach you about intention or sankalpa. This is gentle yoga with yoga exercises for beginners starting with a guided relaxation. We will begin by stretching your hips with beginning yoga pose keyhole stretch. Then we will stretch your hamstrings with hand to big toe pose with lots of modifications especially for those with low back pain. We will continue with our yoga exercises for beginners with cat pose. This beginner yoga sequence also includes lunge pose to stretch out your tight hip flexors. When we come to standing I will teach you step by step with lots of modifications how to do beginner yoga poses pyramid pose and triangle pose. This yoga routine for beginners also includes cobra pose and child’s pose. 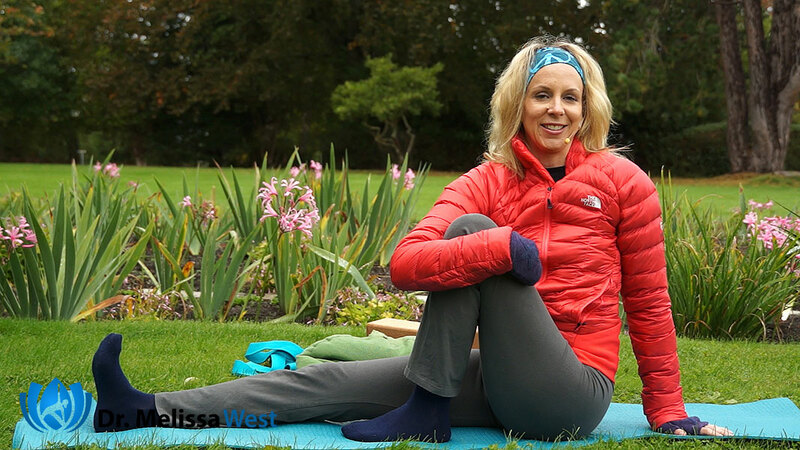 We will round out our beginner yoga sequence with a seated twist and a forward fold and finish with savasana. This beginner yoga class is all about intention. 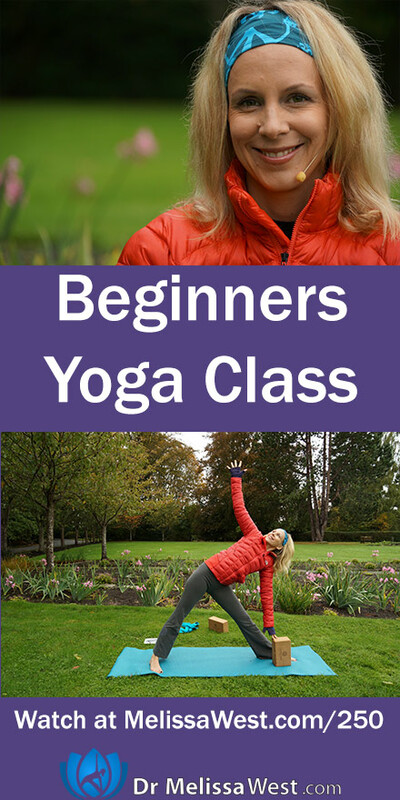 It is designed for beginners and those who are willing to come to their mats with beginner’s mind. 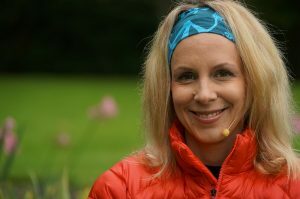 We will explore the why behind everything we do in a Yoga with Dr. Melissa West style yoga class and look at this yogic concept of sankalpa/intention. Our beginning yoga class has an arch to it, beginning lying down, moving towards sitting to receive the teachings and to set your intention, coming towards standing for your peak pose, then it begins to move back down towards lying down to finish your class. This class includes hip openers and hamstring stretches and yoga poses to support you in setting an intention. I love this definition of intention because it lets go of doing and opens us to being. 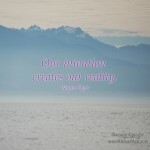 That which we hold within us, allows us to remember and connect to a way of being. Intention is an inward journey to our deepest aspiration and truest longing. With intention we ask ourselves, why am I practicing yoga today? Why am I here? Why did I roll out this mat today and show up? What did I hope to receive by doing this? As yogis, we can then explore how to fully embody that intention. The intention to be more flexible in your body can be expanded to all levels of your being. How could you be more mentally flexible? If you are exploring one solution to a problem and finding that it isn’t working, are you able to shift course and have the mental flexibility to explore another possibility? What about emotional flexibility? Do you allow yourself to express a full range of emotions from sadness, to anger, to frustration, to boredom, to anxiety to contentedness to joy? And then there is spiritual flexibility: are you rigid in your beliefs or are you open to different spiritual points of view? Another common sankalpa that a beginner might come to a yoga practice with is: “I want to lose weight.” So notice that this isn’t stated in the affirmative or in the present moment as though it has already happened. Can you imagine your life when you have reached your goal weight? How will you be? I am healthy, strong and vibrant. There you go, there is a good intention statement. With intention there is usually some “tension” between where you are now and returning to your True Nature. This morning in my yoga class my teacher said we are simply remembering our True Nature – we have become dis-membered in our day to day lives. In order to be healthy strong and vibrant you may have to take a journey inwards to explore the disconnect between where you are now and where you want to be. Are you willing to be loving and kind to yourself and explore what you choose to put in your mouth may be an act of loving kindness or is it time to be honest that some of the foods you choose to eat can also be an act of violence to your body. It is about being honest in your thoughts, words and actions – the way you think about your body, the things you say to yourself and your actions. Yoga asks you to be moderate in your lifestyle and to practice non-hoarding. Is your diet free from mental of physical toxins? Are you open to practice the discipline that is necessary to truly get to know yourself and what supports you in being a healthy strong and vibrant human being? Setting your intention is simply tuning into what you most want to receive from your practice today. When you reflect on your body, your breath and your life circumstances, what stands out most about those experiences. 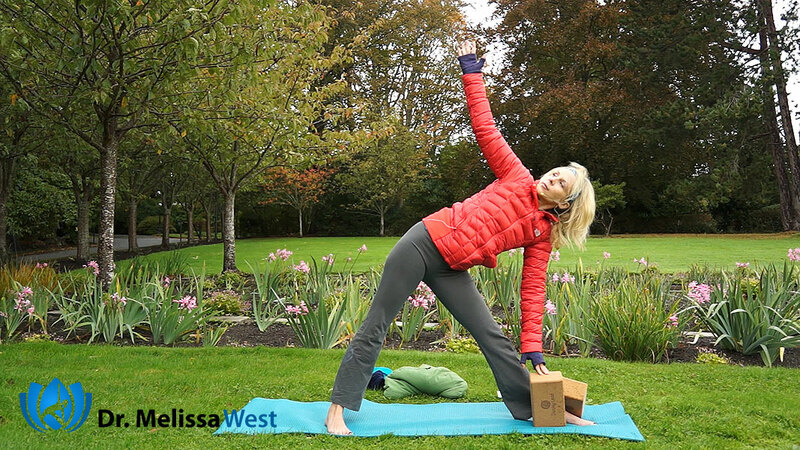 If you have a pain in your shoulder, your breath feels up high in your chest and you are experiencing a lot of stress in your job, then maybe your intention is to let go of some of the burdens you are experiencing in your life on your yoga mat. Whatever is unique to you and your experience is the right intention. There is no right or wrong, no better or best. This is your yoga practice.